Oh gosh! 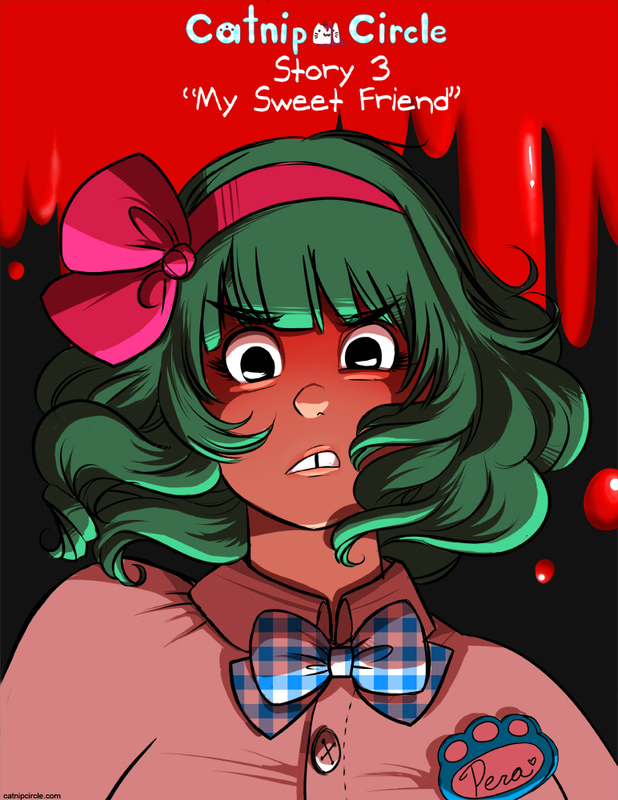 Should I be worried that Pera looks very, VERY scary in this photo or that there is (probably) blood(maybe strawberry jam?) flowing behind her?